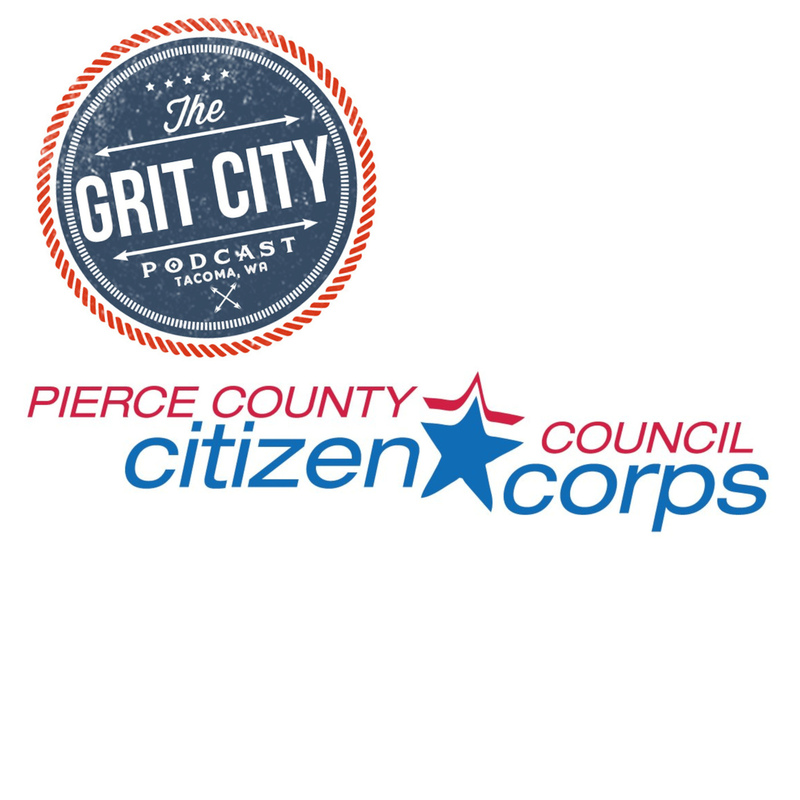 On this episode the teams sits down with Marvin, Melinda, and Stephanie from Citizen Corps Council of Pierce County (CCC-PC). CCC-PC is a recognized 501c3 organization and is one of nearly 2,500 councils across the United States that were created after the 9-11 attacks by the Federal Emergency Management Agency (FEMA). Each one represents a grass-roots approach to bring together government and community leaders to involve residents in all-hazards emergency preparedness and response programs. They like to remind the community that "It starts with you.” If you want to make a difference in our community when disasters happen, CCC-PC may just be your ticket. No matter who you are, we all have a role in helping in our own hometowns. They help you to embrace the personal responsibility to be prepared and respond to emergencies of all kinds. 1:17 – Justin shares where listeners can find them online, gives props to Castle Security and Protection who supports GCP. Melinda introduces herself, explains what organization she’s from, Stephanie introduces herself, and Marvin explains how he’s involved with the Citizens Core Council of Pierce County. He explains what the primary function of CCPC is, Melinda describes how the council came into being, and Stephanie explains what the Medical Reserve Corps does. 12:24 – Stephanie talks about the MRC’s involvement with the recent measles outbreak in Washington, explained how people can get information on volunteering, and Melinda shares how non-medical people and get involved. Stephanie explains how she got involved, the flexibility they have with working with the government and being a non-profit, Melinda talks about how she got started, and Marvin shares how he got stated with CCPC. 24:28 – Marvin shares how frequently they do the cert training, where people can get more information on the training that’s in their community, and Stephanie talks about their Stop The Blood Training. Justin talks about the free CPR training in the area, Brogan talks about his bacon story, and Marvin talks about the basic level courses they offer that would be good for anyone to take. Brogan talks about the training course he took from the local Mountaineering Club and Marvin talks about the impact Fox Island would have if there were an earthquake in the area. 37:28 – Stephanie talks about the health benefits behind people with social capital and social connectedness, research they have done behind personal preparedness, and Brogan shares his recent experience with the emergency hotline that was setup during this year’s major snowstorm. Marvin talks about their re-structuring with Pierce County, Justin shares going to his neighborhood meeting, and Melinda shares how the community can support them. She explains the importance for anyone who thinks they would want to get involved when an emergency event happened to do so now before the emergence happens and the show ends with Justin sharing how people can find CCPC online. Many thanks to Stephanie, Marvin, and Melinda for joining the guys to talk about the amazing things CCPC does and how people can get involved!!! 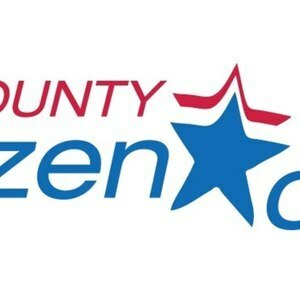 ccc-pc | ABOUT US — Citizen Corps Council of Pierce County (CCC-PC) is one of nearly 2,500 councils across the country that were created after the 9-11 attacks by the Federal Emergency Management Agency (FEMA). Pierce County Medical Reserve Corps — The Medical Reserve Corps (MRC) is a national network of volunteers, organized locally to improve the health and safety of their communities. The MRC network comprises 998 community-based units and over 200,000 volunteers located throughout the United States and its territories.